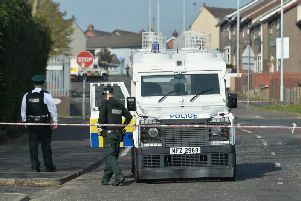 The PSNI has launched a murder investigation after a 32 year-old man died following an assault. The 32 year-old man was allegedly assaulted in Portaferry, Co. Down in the early hours of Sunday October 14. The PSNI has said it is treating the man's death as murder. The PSNI has said it is treating the death of the man as murder. A 19 year-old man has been arrested in connection with the incident. "Following the death of a 32 year-old man who was the victim of an assault in Portaferry shortly before 1am on Sunday October 14, police have arrested a 19 year-old male on suspicion of murder. He is currently in custody at Musgrave Serious Crime Suite for questioning," said a spokesperson for the PSNI.